Last night was an intro/overview, and we’ll dive deeper in the coming weeks. You’re more than welcome to come out and check out KdT. Everyone can come out, but if you attend three meetings, they ask you join: $40/year for an individual, $60 for a family. See you at the library! Thanks to the Krewe de Tech computer club for having me over last night. It was fun to get out and talk tech at a more consumer level. As much as I enjoy the Enterprise Storage classes I teach, the change of pace is welcome. I’ve been doing consumer-level training and speaking since the 1980s. From computer camps to kids to teaching teachers how to bring PCs into the classroom to more-current topics now, it’s fun to speak to people who are outside of the computer profession. 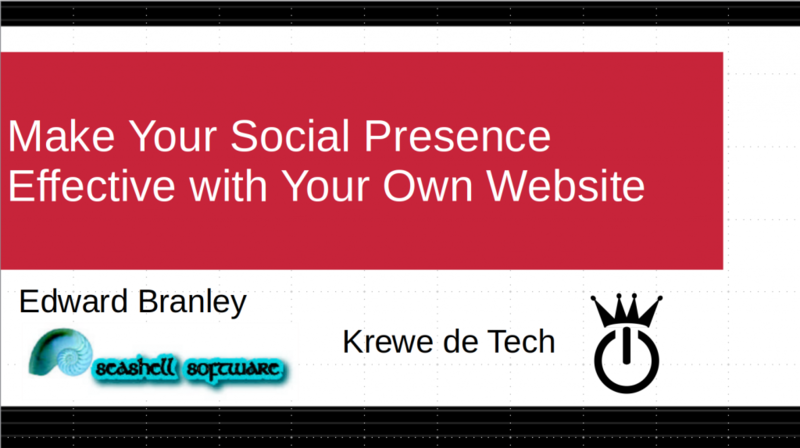 The Krewe de Tech computer club’s general meeting is on the first Tuesday of the month. They have “hands-on” meetings on the second and third Tuesdays. At those sessions, the club encourages folks to bring their laptops and phones. More-experienced members are more than willing to lend a hand, working out and solving problems folks experience with their devices. KdT meets at the East Bank Regional branch of the Jefferson Parish Public Library. The EBR branch is on W. Napoleon Avenue, just off Clearview Parkway.